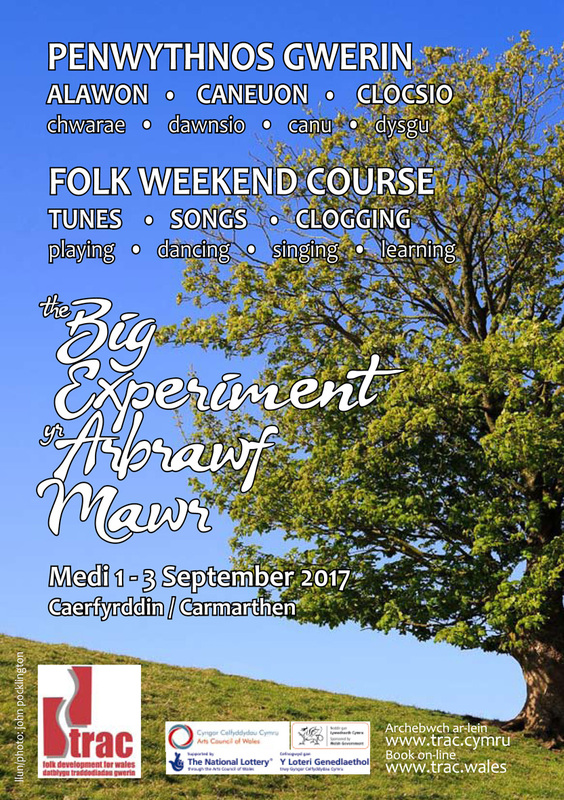 The Big Experiment all-age ‘folk school’: spend a whole weekend playing, singing or dancing! Food and accommodation are included and you can bring the whole family. Improve your technique with top tutors, experiment with unfamiliar instruments, songs and dance styles, and make new friends at the same time. The weekend is cram-packed with music, dance and song, with nearly 30 hours of tuition and activities including mixed-instrument groups, songs, clogging, tasters and sessions. This year’s a ‘Calan special’! 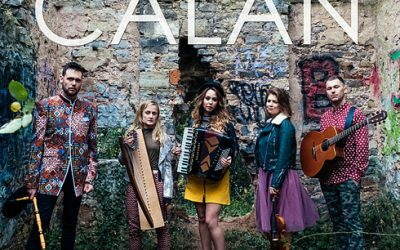 Welsh music phenomenon Calan kick off the weekend with a concert, and members will teach some of the classes and workshops. Meet them – and all the other excellent tutors – below. The Calan concert, the twmpath (like a ceilidh) and the sessions which follow, and all the afternoon workshops, are open to the public. Welsh-speaking or not, you’re equally welcome. Our resident simultaneous translator, Martin, helps learners and non-Welsh-speakers access all areas. 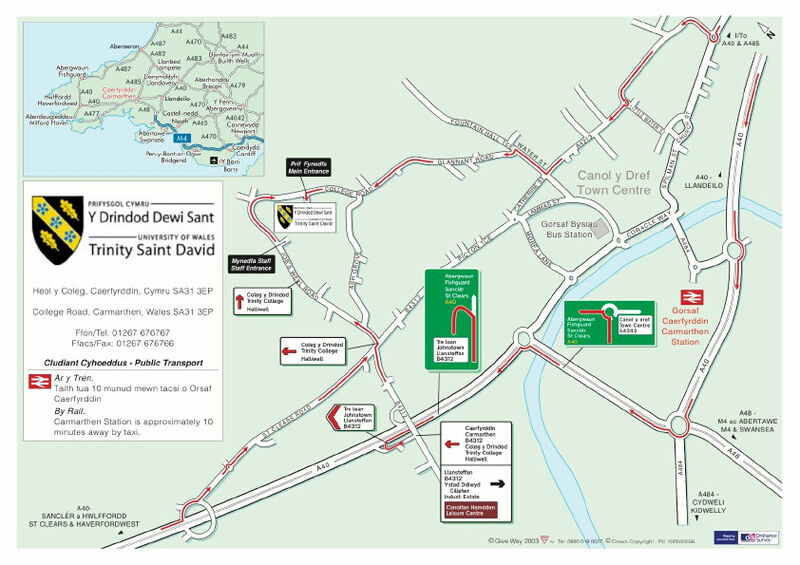 There’s a special welcome for Welsh learners’ groups. Your family or group of friends can book a flat to yourselves and there are a number of bursary places for young people in full-time education, plus there’s a special morning group for children aged 7-10 this year. Morning classes are a course of four lessons, two on Saturday, two on Sunday. 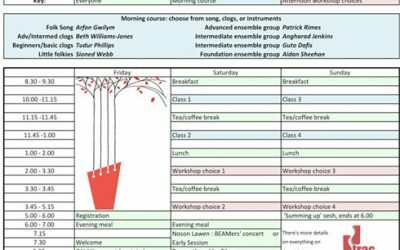 There are four ensemble classes for instruments at three ability levels, with tutors Patrick Rimes, Angharad Jenkins, Guto Dafis and Aidan Sheehan. Singers have their own strand for folk song with respected singer and tutor Arfon Gwilym. Evenings and afternoons will include informal singing and workshops if you’d like to learn or practise some Welsh songs. Dancers can learn from Calan’s golden-clogged Bethan Rhiannon (intermediate to advanced level) or with Tudur Phillips who went down a storm last year (foundation level – for absolute beginners or ‘refreshers’ – less confident cloggers who’d like to brush up their steps). Numbers in each group will be limited to ensure you have the best tuition experience. When you book, please choose one morning course only, though you can swap groups after the first lesson if your first choice wasn’t right for you. The morning groups are for adults and children from age 11 upwards. There is a special morning group for children aged 7-10 this year, with Sioned Webb. • Clogging for all – have a go! 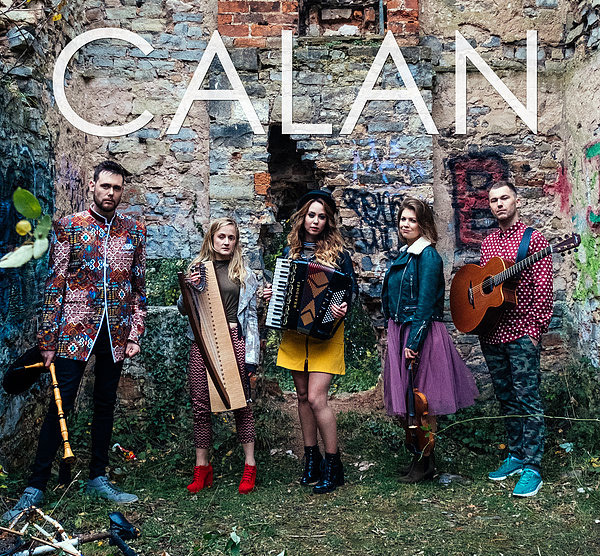 On Friday night we settle in with a meal, Calan’s concert and sessions. On Saturday night there’s a twmpath (social dance) with musicians from JUICE and calling by Tudur Phillips, or films for the non-dancers, plus more sessions. There’ll be a dedicated room for singers each evening and another for those who want to play at a gentle pace. 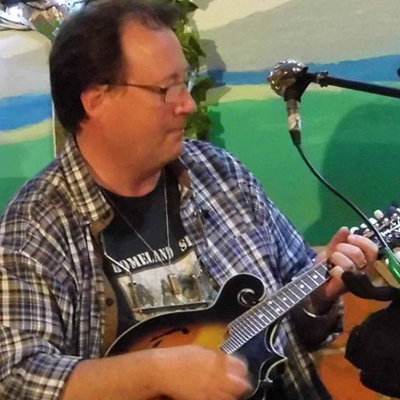 Patrick is a musician of many talents – he plays pibgorn, pipes and fiddle, and is a singer, composer and conductor. 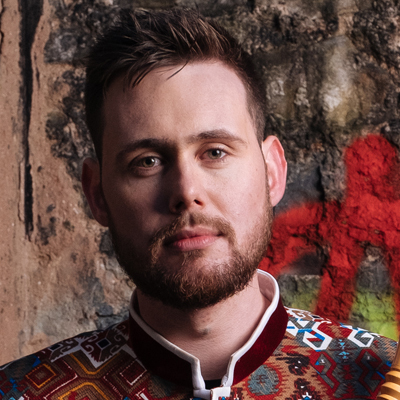 A stalwart of the Welsh traditional music scene since childhood, he plays with Calan and Vri. 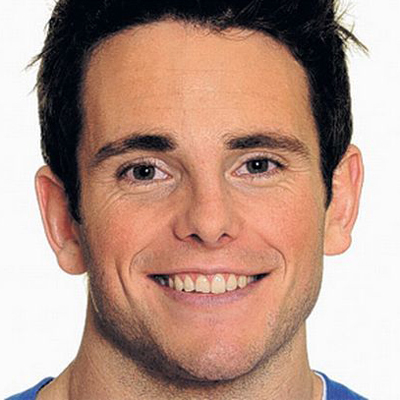 Patrick’s morning group is about ‘Taking your performance to the next level’. We’ve all heard people talking about musicians who play with ‘great feel’ – but what does that actually mean? In these classes we’ll be finding some answers, identifying the key components of musical ‘feel’ and working on ways of enhancing them in your playing. We’ll use the core Welsh repertoire and also learn plenty of new tunes. Suitable for advanced players of all instruments. 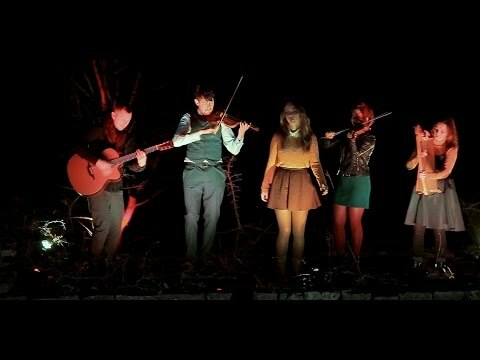 Angharad is Calan’s fiddler, half of harp-and-fiddle duo DnA and trac’s former project officer. She still organises trac’s youth folk course Gwerin Gwallgo, and you’ll usually see her at Ty Gwerin at the Eisteddfod too. 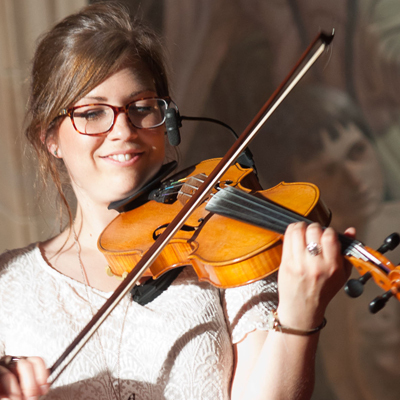 Not just for fiddlers, Angharad’s morning ensemble class will explore traditional Welsh material, and how to arrange sets of tunes. This intermediate level group will look at ways to keep the listener interested, through rhythmic or melodic variations, ornamentation, key changes, tempo and texture. 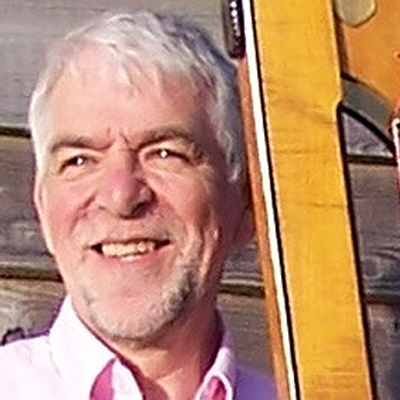 Guto is well-known as a singer and storyteller, but also teaches regularly at tune clubs such as Llantwit Major, where his warm and encouraging approach has made him a regular tutor since 2012. In this morning group, Guto will concentrate on triban tunes of various sorts (from sprightly and danceable to lyrical ploughing-song melodies) from Glamorgan and elsewhere; and cywydd deuair fyrion melodies from the manuscripts of Iolo Morganwg. He would welcome a variety of instruments so that we can experiment with textures and arrangements. 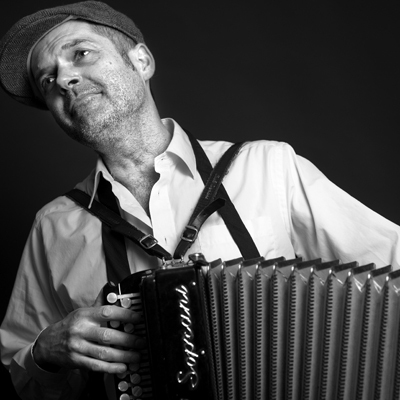 Experienced tutor Aidan plays harmonica, button accordion, guitar and mandolin, whistles & flutes, and folk percussion. Are you new to playing by ear? Or new to the Welsh repertoire? Or maybe you’d like to practice your second instrument? Then this is the morning group for you. Bethan is daughter of Huw Williams, master of the art of Welsh clogging, and her solos in the famous gold clogs are a feature of Calan’s shows. Beth’s morning class will help confident dancers of Welsh traditional steps to break them down and put their own modern/personal twist on the old moves. 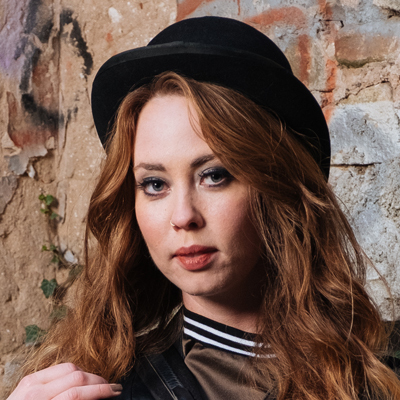 There’ll be a chance to look at contemporary steps Beth has created and understand on which traditional Welsh steps they were based in order to inspire new stepsmiths. Any requests about specific steps are welcome! We’ll look at how to really perform these steps and see how they improve when we concentrate on posture and movement around the stage. Welsh clogging for beginners and less confident dancers with another new BEAM tutor, the vivacious clog champion Tudur Phillips. In his morning classes, he’ll be focusing on simple steps, moving on to more challenging ones according to the class’s ability. We’ll create some dances and routines together and we’ll be sure to try out a few tricks too. Some clogs will be available to borrow, if you don’t have your own. Dance yourself fit with his afternoon ClocsFfit class too! Arfon’s back! Tradition bearer, Cerdd Danter, fiddler and BEAM favourite, Arfon takes this year’s singing group for Welsh-speakers and learners alike. Bring along your favourite song and keep singing all day long! Singing in a group / Developing your own style / Finding songs / Learning context and background. 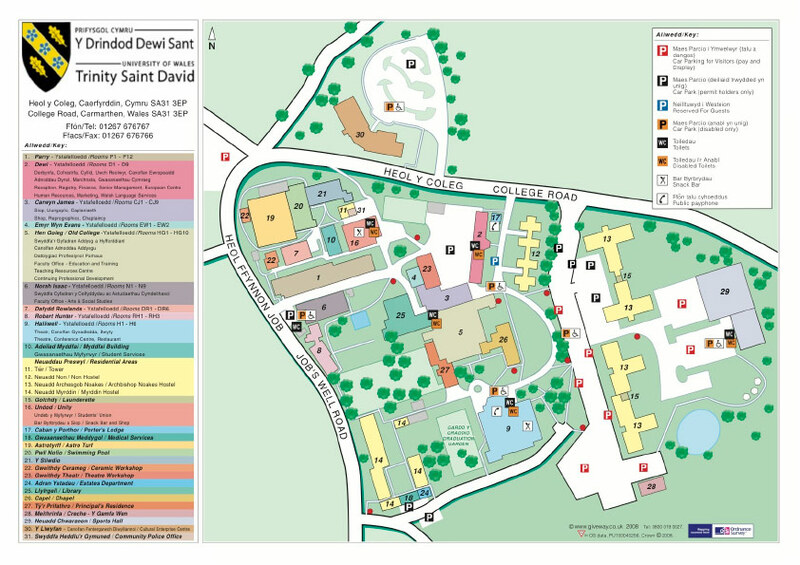 The morning classes will use songs from “A Welsh Folk Song a Week” (on the trac website) as a basic resource. 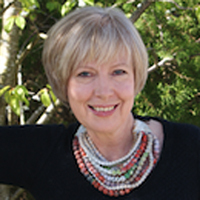 Sioned is not just a musician, singer, teacher, composer and arranger, but also a mother and grandmother, and we’re delighted that she’s bringing her teaching skills to our youngest BEAMers this year. Young folkies can learn songs and tunes with Sioned in the morning. Bring your instruments! If there’s enough interest, there will also be afternoon sessions for the young ones, with more songs, tunes and folky fun. 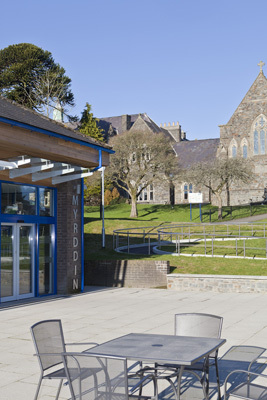 The Big Experiment is back for its second year at the new conference centre at Trinity St David’s university campus. Accommodation is in single en-suite study bedrooms at £130 per person (£110 Early Bird). NB Unfortunately the college cannot offer twin rooms this year. If you’re in full-time education, there are a limited number of bursary places for only £60. Prices include your tuition, all your meals and your accommodation. Rooms and bursaries are allocated on a first-come-first-served basis so book early for the best choice and the best deal: discount ‘Early Bird’ prices end on 20 August. The accommodation is arranged in flats of 8 bedrooms plus a kitchen and a lounge. Families or groups of friends are welcome to book their own flat together. The accommodation is simple and if you’d like a little more luxury, there are B&Bs, guest houses and hotels nearby. Campervans are welcome on site. 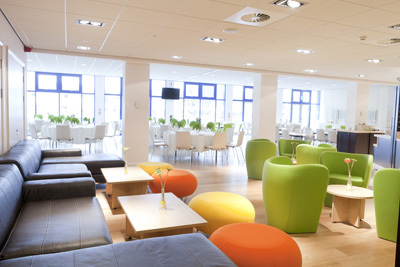 If you’re local or don’t need a room, it costs just £90 (£76 Early Bird) for a non-resident place, which includes meals.